Meeting with EASA team on our booth to celebrate the closing of the Certification. First exhibition of Sonaca 200 in Aero Friedrichshafen. Meet us in Hall A4 ! 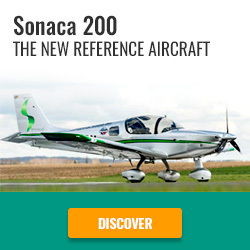 At Aero Friedrichshafen 2018, Sonaca Aircraft will be unveiling the Sonaca 200 for the first time. The entire Sonaca Aircraft Crew wishes a long life to the new Air Belgium Company. Enjoy your flights ! Flying above lakes. Enjoy your we ! Meet the women behind Sonaca Aircraft! MSN001 & MSN002 are in Final Assembly Line.